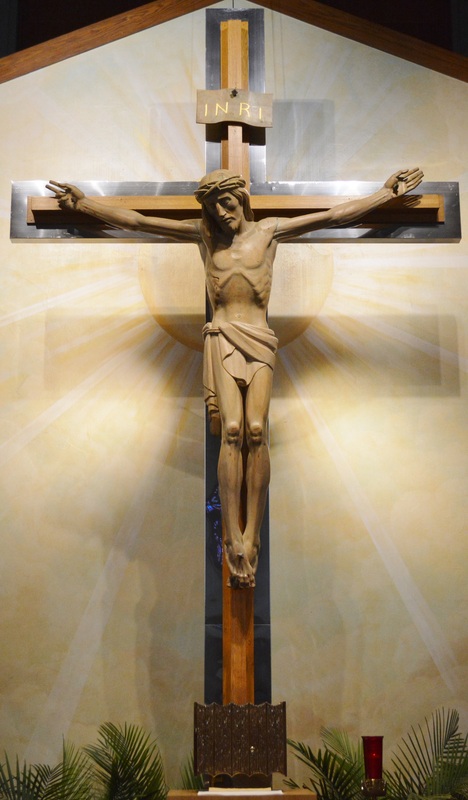 We are a community of Catholics and in our own imperfection are attempting to follow the way of our Lord and Savior Jesus Christ. If you are seeking a perfect church with the perfect congregation you will not find it here. 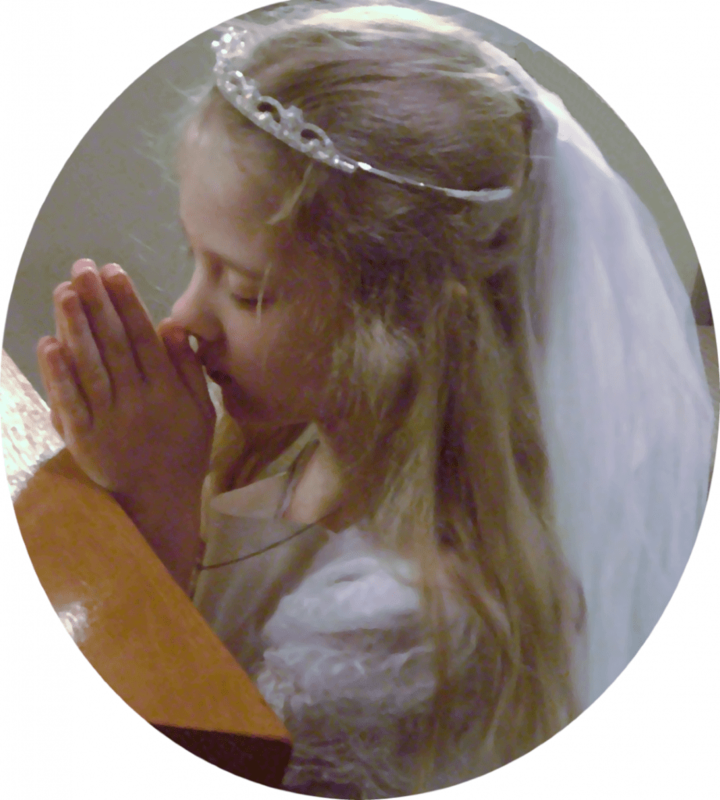 If you are seeking to become perfect as our Heavenly Father is perfect then you are welcome to join us. Ours is a road of repentance, we follow in discipleship and by Grace live in Joy, Hope and Love. Lord have Mercy, Christ have Mercy, Lord have Mercy. Practice along with this “new” (to us) Gregorian chant. Is anyone among you suffering? He should pray. Is anyone in good spirits? He should sing praise. Is anyone among you sick? He should summon the presbyters of the church, and they should pray over him and anoint [him] with oil in the name of the Lord and the prayer of faith will save the sick person, and the Lord will raise him up. If he has committed any sins, he will be forgiven. The stained glass windows adorning the north and south walls of the church were cre ated and placed b y Pittsburgh Stained Glass Studios of Pittsburgh PA. The artist was Peter Brahm, and his craftsmen. The installation of the windows began in 1969.The twelve windows follow the theme of Salvation History, starting with the Creation window. This window is on your left as you enter the church, above Station of the Cross #6 (Veronica wipes the face of Jesus). The Creation window is somewhat dark with subdued colors, but with each window progressing toward the Sanctuary, the windows begin to brighten until the Sanctuary windows glow with a golden light. 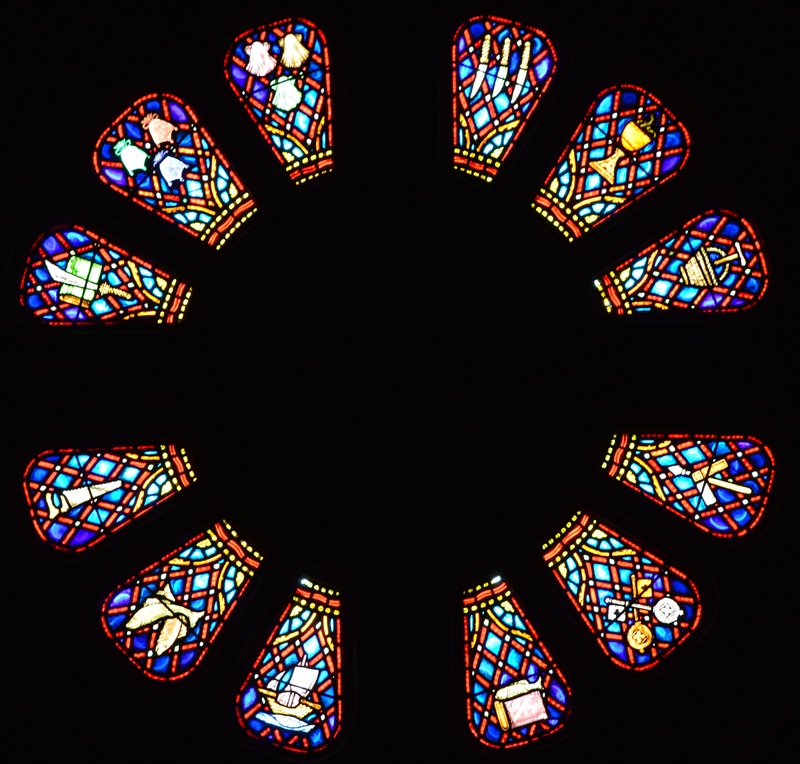 The Rose window, which faces the setting sun, was installed during the construction of the church in 1961 and 1962. The church was dedicated on May 1st, 1962 by Archbishop John Joseph Swint. The panels, although there are no names or human images on the windows portray the twelve apostles. Each window depicts the symbols of one of the apostles. The windows depict the eleven faithful apostles (Judas Iscariot is left out of the group and St Paul was put in his place to complete the number 12) The Rose window as created by Poremba Stained Glass Studios from Warrensville Heights, OH. The windows were donated by the Christian Mothers.